camera (Ron Sachs/picture-alliance/dpa via AP Images) Ronna Romney McDaniel, Chair, Republican National Committee, speaks at the Conservative Political Action Conference (CPAC) in National Harbor, Md. on Feb. 23, 2018. 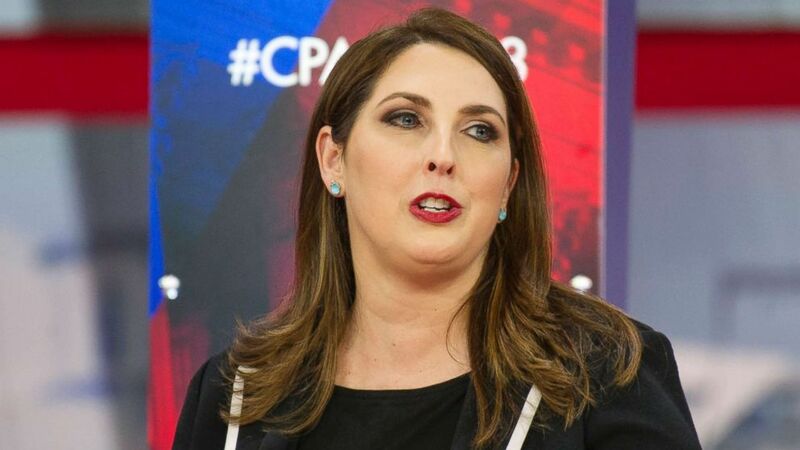 Less than 24 hours after a prominent Republican Trump-critic became the second sitting member of Congress to lose a primary this year, Republican National Committee (RNC) Chairwoman Ronna McDaniel tweeted what some viewed to be an ominous warning. "Anyone that does not embrace the @realDonaldTrump agenda of making America great again will be making a mistake," McDaniel's tweet, which came the day after South Carolina Rep. Mark Sanford lost the GOP primary in South Carolina's 1st Congressional District to a pro-Trump challenger, State Representative Katie Arrington. McDaniel clarified the tweet Wednesday morning, which originally came from an interview McDaniel gave to Fox Business Network's Lou Dobbs, saying that the full context did not "translate well with a 240-character limit." But the clarifications comes at a particularly charged time for the Republican Party, a party that is clinging to a 51-49 majority in the United States Senate and the real possibility of losing their majority in the U.S. House in November. Sanford's loss this week, and the upcoming runoff election facing another Republican who was critical of Trump, Alabama Rep. Martha Roby, have put into stark terms the very real backlash anti-Trump Republicans are facing with their voters. 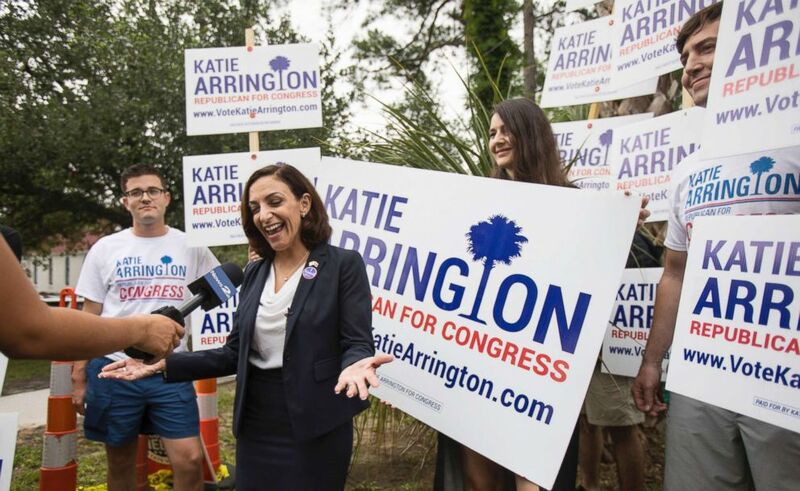 (Kathryn Ziesig/The Post And Courier via AP) South Carolina Rep. Katie Arrington, who is running for the first district of South Carolina, campaigns after voting in the primary election on June 12, 2018 at Bethany United Methodist Church in Summerville, South Carolina. 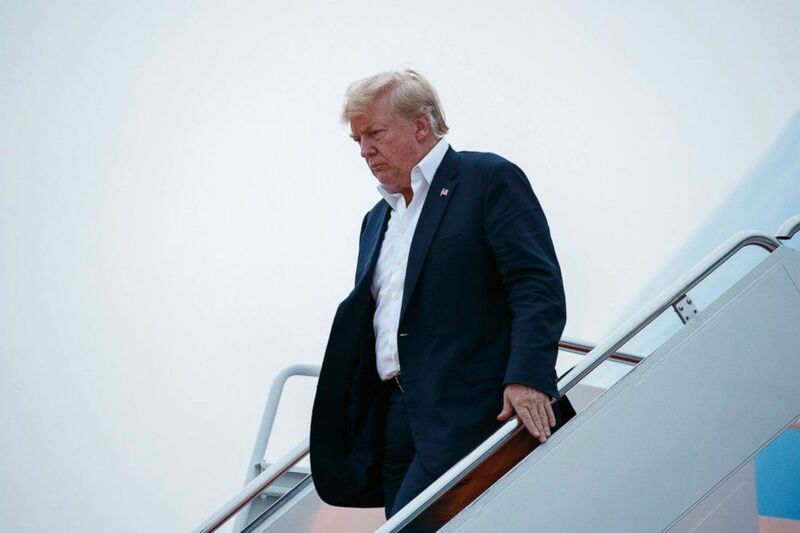 "Being a Trump critic is a hard position to be in in the Republican Party, and I don’t think Sanford’s sometimes criticism of Trump helped him, that’s for sure," Kyle Kondik, an analyst at the University of Virginia Center for Politics, told ABC News. In addition to Roby, Staten Island Republican Rep. Dan Donovan is facing a challenge from an opponent, disgraced former Congressman Michael Grimm, who says he has not shown sufficient loyalty to President Trump. All across the country, Republican primaries up and down the ballot have and continue to be litmus tests for a candidates adherence to Trump and his policy agenda. "We are the party of President Donald J. Trump," Arrington, a one-term South Carolina state lawmaker, said in her victory speech Tuesday night. (Evan Vucci/AP) President Donald Trump arrives at Andrews Air Force Base after a summit with North Korean leader Kim Jong Un in Singapore, June 13, 2018, in Andrews Air Force Base, Md. "I won the primary because I’m a strong supporter of President Trump," Virginia GOP U.S. Senate nominee Corey Stewart, told CNN's Chris Cuomo Wednesday in an interview. The tweet from McDaniel also comes almost simultaneously as one of the most prominent critics of Trump in the Republican Party took another shot at the commander-in-chief. "It's almost becoming a cultish thing, isn't it?" 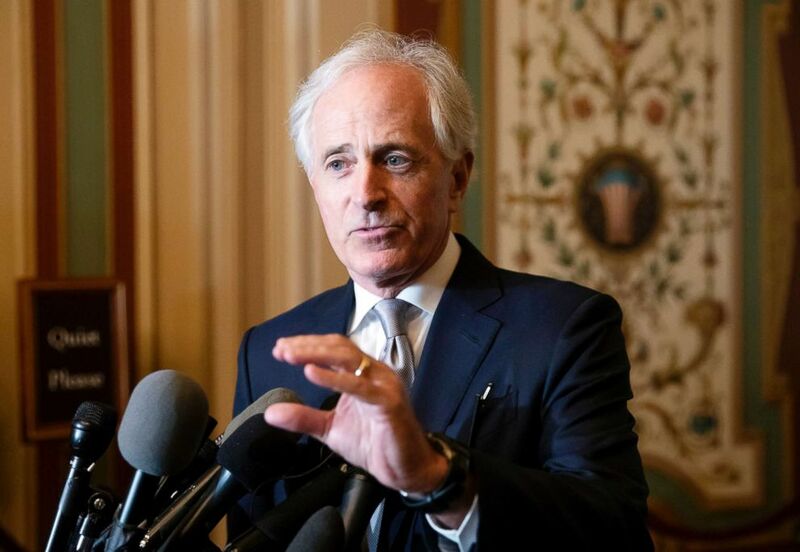 Tennessee GOP Sen. Bob Corker told reporters Wednesday, "And it's not a good place for any party to end up with a cult-like situation as it relates to a president that happens to be, purportedly, of the same party,"
(J. Scott Applewhite/AP) Senate Foreign Relations Committee Chairman Bob Corker speaks to reporters on Capitol Hill in Washington on June 13, 2018. The RNC declined to comment further on the tweet and subsequent clarification from McDaniel. Reaction from prominent conservative pundits who are often critical of President Trump, including two ABC News political commentators -– Meghan McCain and Ana Navarro -- was swift. The Democratic Party has not hesitated to portray the coming midterms as a referendum on Trump, and a representative from the Democratic National Committee (DNC) said the party looks forward to litigating the President's agenda in the Fall. "The Trump agenda is the mistake. It's hurting millions of families every day. And Ronna McDaniel can rest assured that voters will hold Republicans accountable for it in November," Adrienne Watson, a spokeswoman for the DNC, told ABC News.